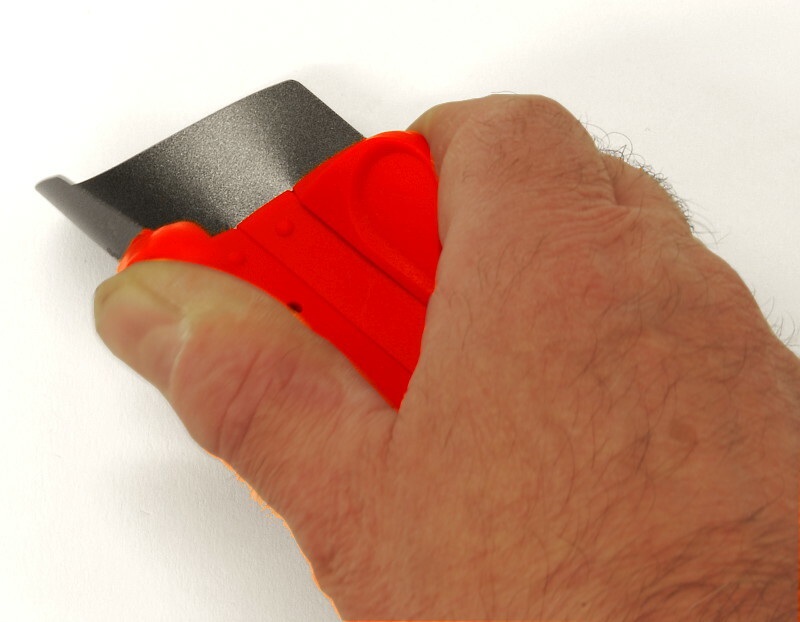 This scraper, 80 mm wide, is ideal for cleaning various kinds of stickers off glass, wood, steel, plastic and other materials. 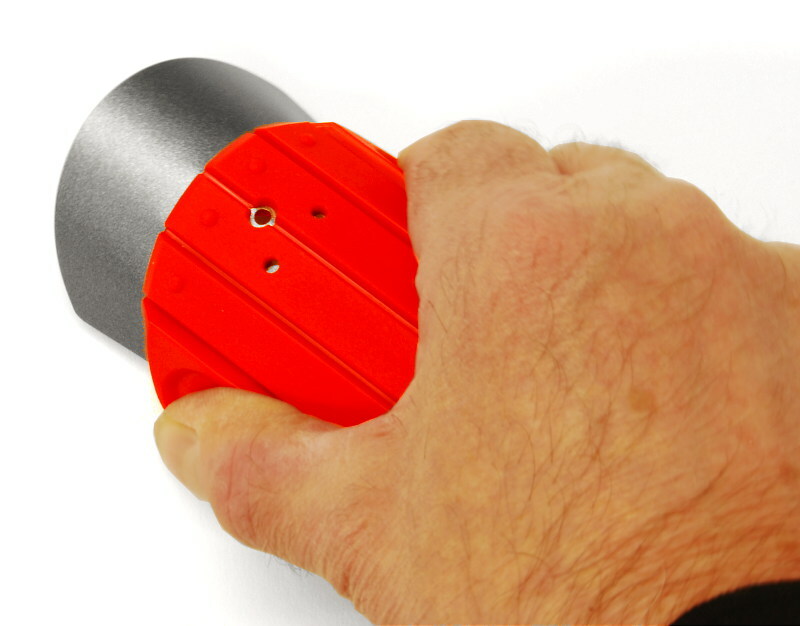 Because it is so flexible, and so can be used on a variety of profiles and rounded surfaces. The flexibility comes from the fact that the stainless blade is only 0.25 mm thick and set in a segmented plastic grip. When the scraper is used on rounded surfaces, for instance, an entire sticker can be scraped off cleanly in one pass, as opposed to scraping the sticker off in many thin strips as you must with a normal, rigid, scraper. 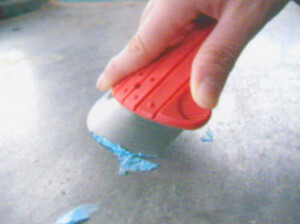 The teflon-coated blade goes a long way toward preventing glue from gumming up the blade. 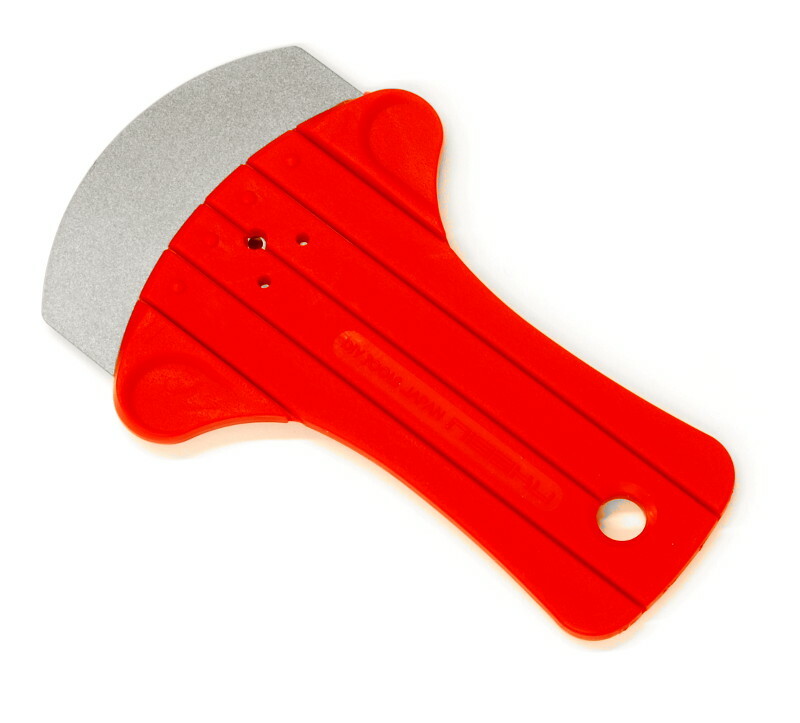 The tool is useful in a wide variety of uses in industry, handwork and in the home!